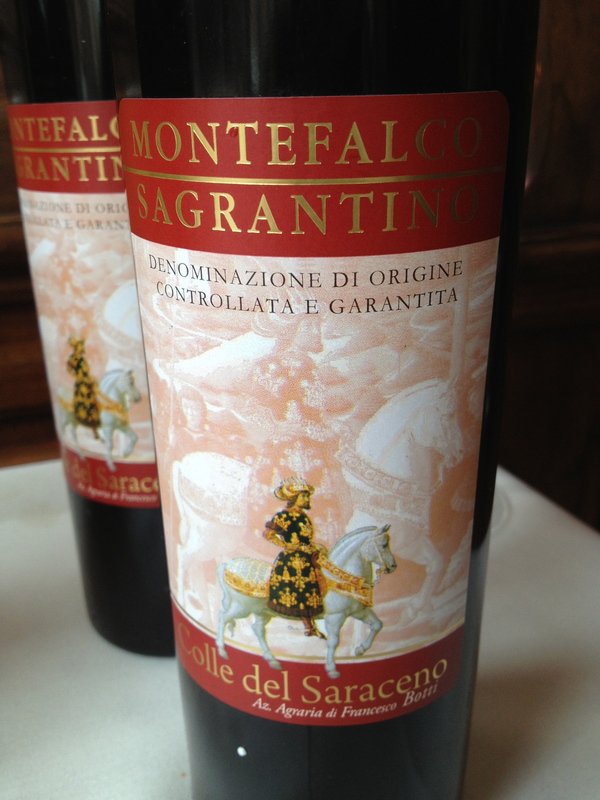 I’ve said this before and will say it again — Sagrantino di Montefalco is one of the great wines of Italy. 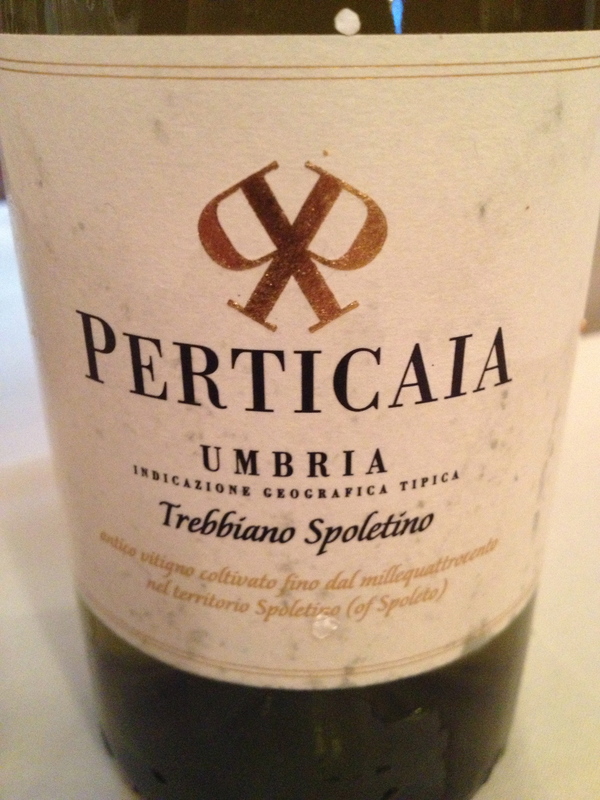 As a grape it ranks right up there with Nebbiolo, Aglianico and Sangiovese. 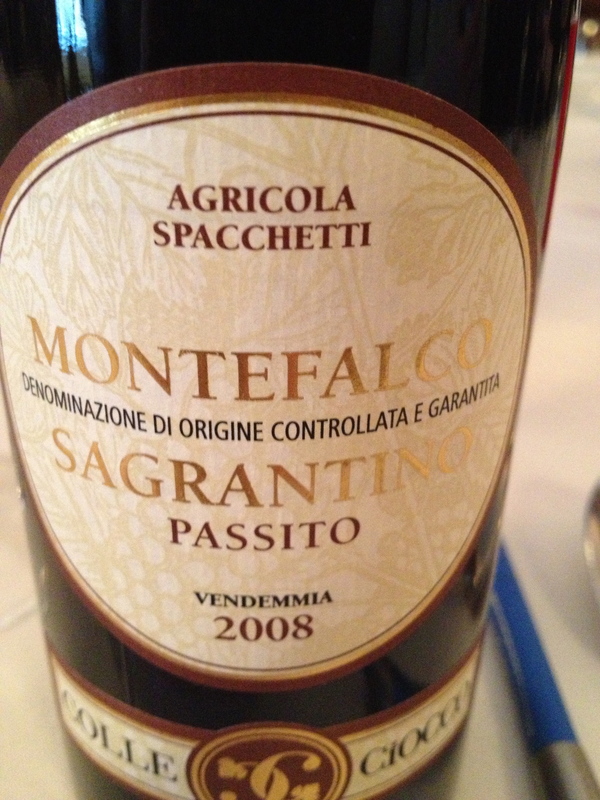 Sagrantino originally was a passito or sweet wine. A little over 40 years ago they also began to make a dry version. Sagrantino in both its forms is not very well know in the U.S so whenever I have the opportunity I like to write about the wine. They are a good buy as most of them are around $40 a bottle. 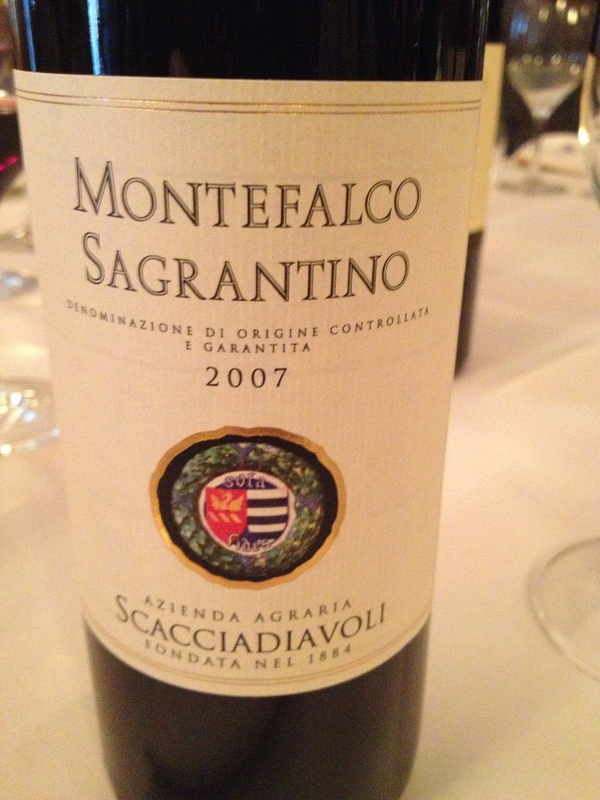 The Wine Media Guild had a tasting and lunch at Felidia restaurant featuring the wines from Montefalco in Umbria. The speakers were Guido Guardigili of Perticaia, Peter Heiborn of Tenuta Bellafonte and Marco Caprai of Arnaldo Caprai. 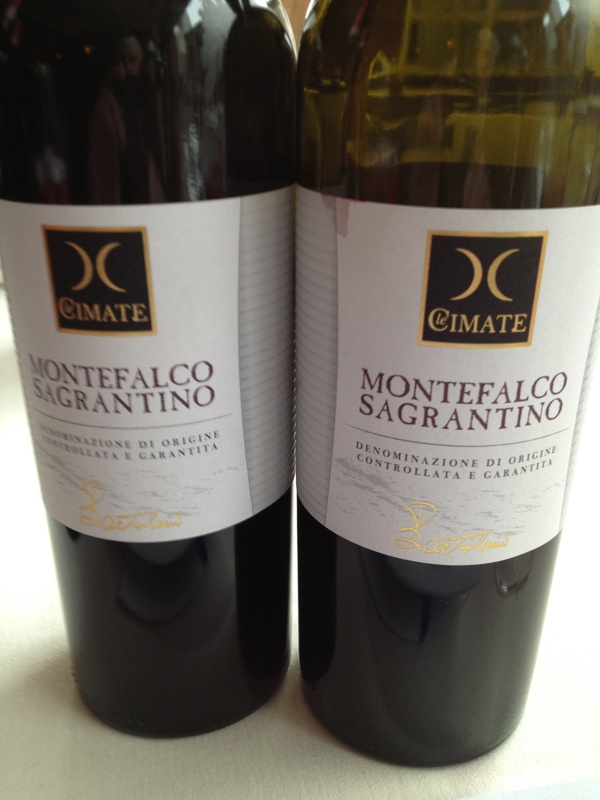 Here are the Sagrantinos that were at the event along with one white wine, which I really liked. 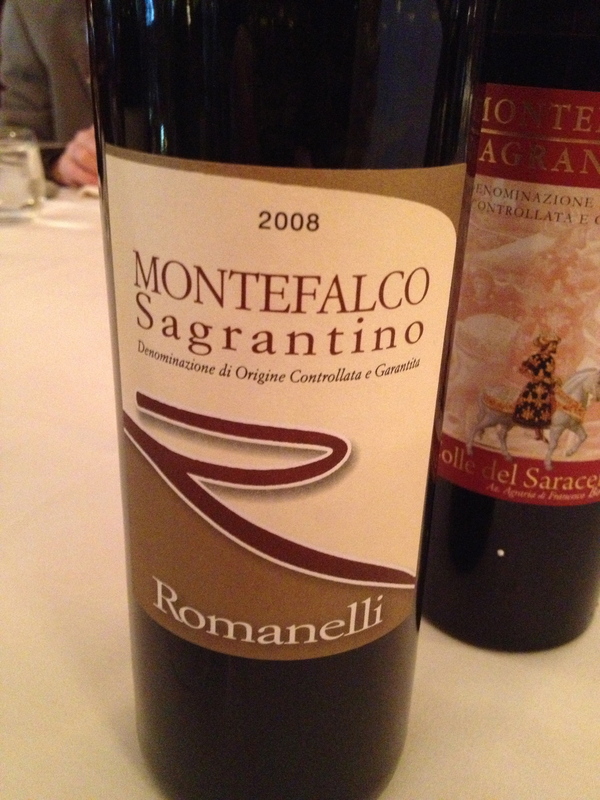 Sagrantino 2008 Romanelli the vineyards are at 350 meters, the soil is silt-clay and there are 5,000 plants per hectare. After the grapes are hand harvested they are destemmed and lightly pressed. Temperature controlled fermentation with frequent pumping over and maceration lasts for 45 to 60 days. After racking, the wine is aged in French wood barrels ranging in size from 225 liters to 2,500 liters. The wine is filtered before being bottled and remains in the bottle for 10 months before release. 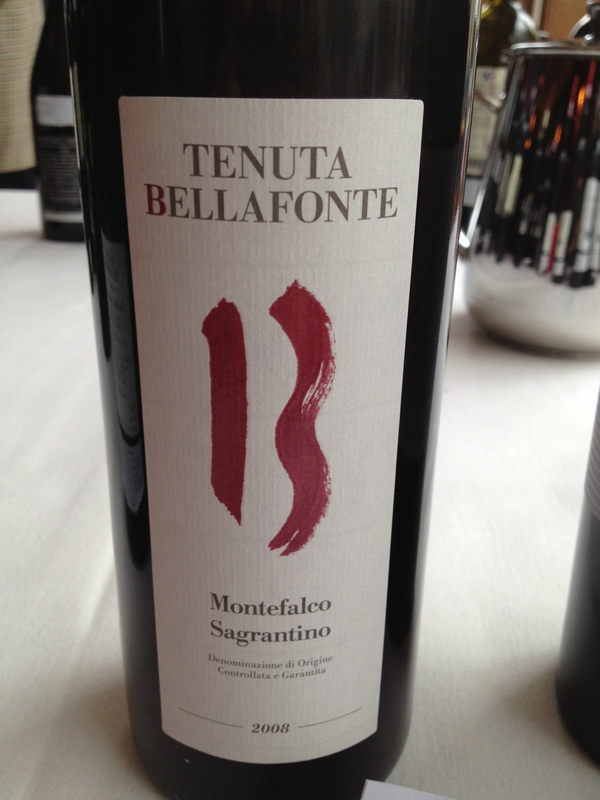 Sagrantino 2008 Tenuta Bellafonte This is their first vintage and their vineyards are 12 years old and are 260 to 320 meters above sea level. The training is cordone speronato and there are 5,500 plants per hectare. Mr. Heilborn explained that the grapes are not crushed, only destemmed, and are put into vats where they start to ferment without any additional yeast. Maceration takes place through the pressure on the peels and lasts about two weeks. When asked if anyone else does this for Sagrantino his answer was “no”. After the wine rests for a few weeks and is decanted a few times and is aged in Slavonian oak barrels of not less than 30 hectoliters. The malolactic fermentation takes place naturally, activated only by the cellar temperature. The wine is checked and decanted as needed for the 40 months that it remains in the oak barrels. He added that the wine is bottled without filtration and any deposits at the bottom of the bottle are an indication of the guarantee of such production choices. Sagrantino 2007 Antonelli Harvest begins in the second week of October, with hand picked grapes placed into boxes and then a final sorting.